Razer phone vs Black Shark is easily going to be a battle to watch out. Both are perfect gaming smartphones as Xiaomi makes its debut through Black Shark in the gaming smartphone business. Xiaomi has released the Black Shark gaming smartphone, and it is been seen as the competitor to the Razer Smartphone. But which one should you opt for? Here are all the specs and features that you need to know about the Razer Phone vs Black Shark. Gaming smartphones have been the rage for a while, and companies have been pining on this segment for a while. 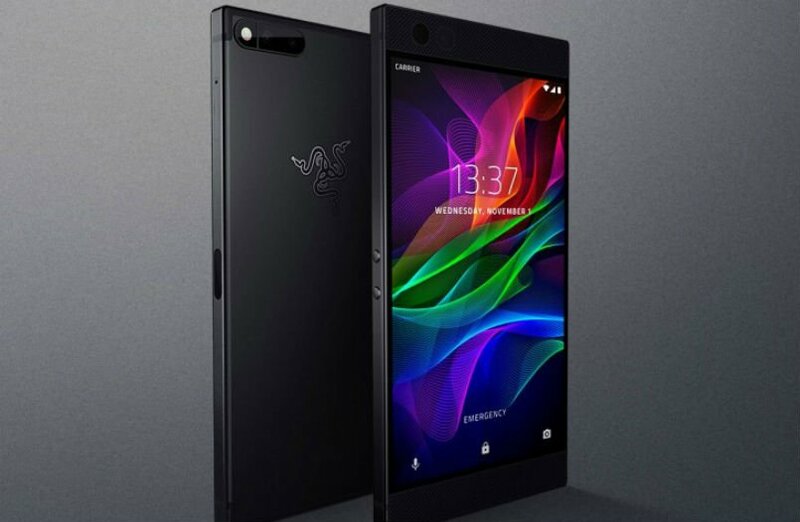 The Razer smartphone had got all the attention at the Mobile World Congress and is also expected to debut its successor, the Razer Smartphone 2 really soon to.. But the Xiaomi Black Shark has also been looked forward too. While both the phones are similar in a few aspects, there are some key differences. What are they? And which one should you go for? The Xiaomi Black Shark and the Razer Smartphone have roughly the same screen size. The Black Shark has a 5.99-inch display while the Razer smartphone has a 5.70-inch touchscreen. Now while that’s about the display, the difference in resolution is massive. The Xiaomi Black Shark has a 1080 x 2160 pixel resolution, while the Razer Phone has a 1440 x 2560 pixel resolution. And this difference can very well be seen in games, which is the main feature of both the phones. The processor is also equally important for gaming smartphones. The Black Shark has a 2.8GHz octa-core processor while the Razer phone has a smaller quad-core one, though both are equally enough to run high-intensity games. The RAM is higher on the Razer phone. The Black Shark is equipped with 6GB of RAM while the Razer phone is equipped with 8GB of RAM. Though both the phones have the same 64GB internal storage, the Razer phone allows for expandable storage which is a huge deal when high memory games are played. Online games tend to take up a lot of space, and so having expandable storage is always beneficial. And talking about expandable storage, the Razer phone supports for expandable storage up to 2000GB. Though both the phones are mainly gaming smartphones, they have some really good camera. To support all the new and amazing AR games out there, the Black Shark has a 20-megapixel rear camera while the Razer phone has a 12-megapixel one. But one place where the Black shark stands out is at the front camera. The Xiaomi Black shark has a 20-megapixel front camera, while the Razer only has an 8 megapixel one. In the Razer phone vs Black Shark battle, the Black Shark definitely wins in the camera sector. Both the Razer phone and the Black Shark are optimized for maximum gaming. The bezels are not too thin, thus allowing space to hold the phone while playing games. The back is also smooth, but will also not slip and fall at the right time. Both the phones share an overall green hue too. Though both the Xiaomi Black Shark and the Razer Smartphone have their own ups and downs, they are both amazing gaming smartphones that are capable of more than just gaming. The Razer phone vs Black Shark is is not all about good software, but also about great hardware.